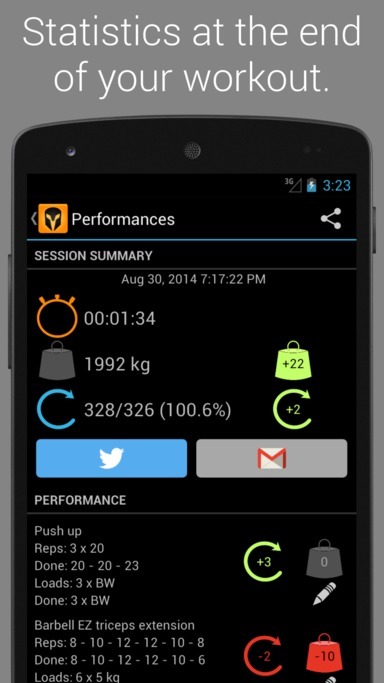 Today, I’ll talk about one of the best bodybuilding android app : Hercules. 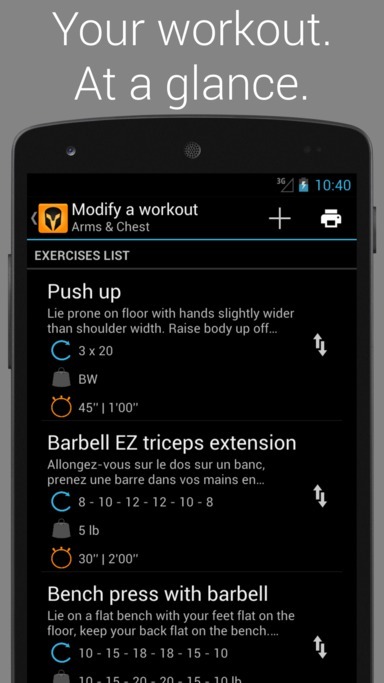 I know there are lots of bodybuilding apps to manage your workouts on the Play Store, but let me show you why this one is the best. Note your performances during your rest times, the fields are pre-filled so if you achieve your goals, you have nothing to do but rest! Hercules manages pyramid sets, which means you can set a number of reps and a weight different for each set! There is also a powerful search engine for your exercises so you can find any exercise in seconds. 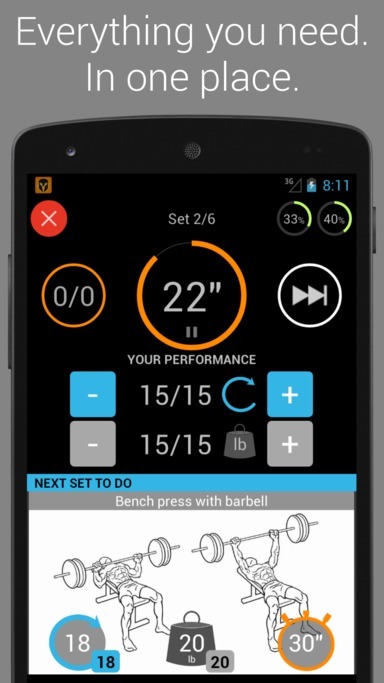 At the end of your workout, Hercules computes your progress on the whole routine, and for each exercise. You can see your progress in number of reps and total weight lifted. Share your performances with friends on social networks and by email. You can even export it with a BBcode format, useful for most forums. It also manages all the timers for you, and tells you when to start your next set by a sound or vibration. Hercules has been designed to give you the data you need, when you need it. For example, you can consult your latest performance at each set of the exercise you are doing to beat it! See the little bubbles in the right bottom corner of reps and weight goals in the screenshot. 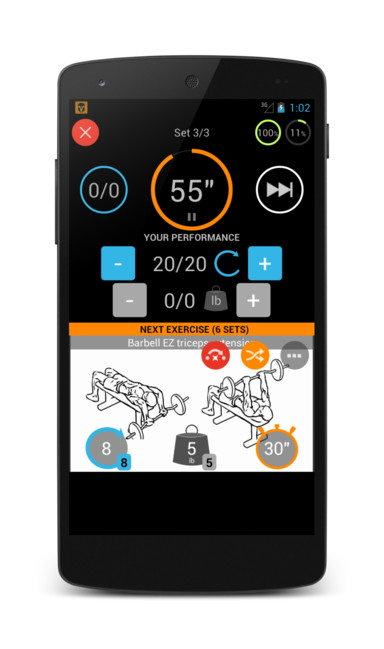 When modifying goals of an exercise in a routine, it will show you your last performance so you can select the right reps/weight to use next time! You can add your own exercises and routines, you can even associate any pictures taken from your smartphone with any exercise you want! During your workout, if you can’t do an exercise because the machine is unavailable, you can switch to another exercise on the fly. You’ll do it later. You can also skip totally an exercise from your workout (see red and orange rounded buttons in screenshot), no performance will be recorded for this one this time. No pressure. Change exercise order on the fly or skip an exercise! Hercules is really useful to get your workouts on track and follow your progress. It’s very easy to use and so powerful. You can now just focus on your feelings and the right move to do for your exercises and Hercules will manage everything else for you. You can download it now for free on the Play Store! Note that it’s free with full features during 30 days. After this trial period you can unlock it by paying a few dollars, it’s worth it!